This stunning peridot bracelet from the late 19th century is a unique piece. 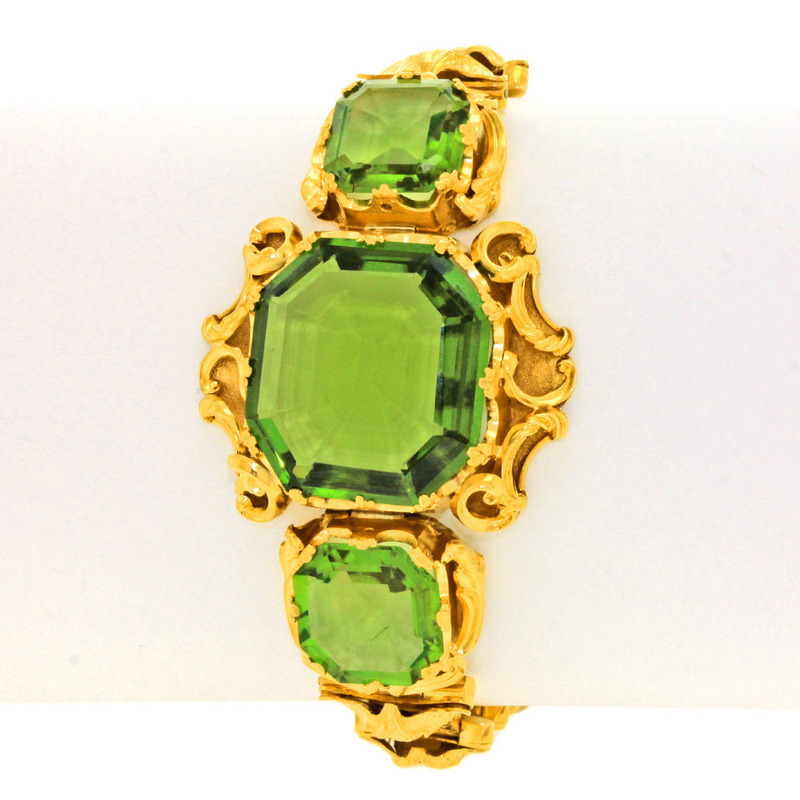 It is a rococo revival 18K gold set with exquisite peridot stones in remarkable color and quality. The Late Baroque style peridot bracelet is carefully fabricated and the details are simply outstanding! The gemstones weigh 53.16 carats in total, and the center peridot stone alone weighs over 36 carats! So, what is the value of the magnificent rocaille jewel? Well, you will have to pay at least $14,500 to be the owner of the peridot bracelet in the picture below.